Of course they did, and with page after page of superbly researched information and thoughtfully detailed illustrations, acclaimed novelist and picture-book author Laurie Halse Anderson and charismatic illustrator Matt Faulkner prove the case in this entertaining, informative, and long overdue homage to those independent dames! This Who’s Who cast of women proves that it wasn’t just men who were responsible for the birth of this nation. Women dressed as men picked up muskets and took to the battlefields, some became scouts and spies, and others became fundraisers for the war effort. Still others took charge of the family businesses while the men were away at war. Bring library books on the American Revolution to class. Ask students to look in the index of at least three titles and make note of the women mentioned in the books. Who were the women of note? How did they contribute to the war effort? Check out the number of women mentioned under the American Revolution in a U.S. History textbook. Keep this in mind while reading Independent Dames. Anderson presents Independent Dames as a school play. How do the dialogue bubbles make the book modern and funny? Discuss the section of the book where Anderson acts as narrator. The “story” of the play unveils what really happened with the women during the American Revolution. Compare Anderson’s writing style as “narrator” to her style as she reports the facts of the story. What is the purpose of the time line at the bottom of each page? Describe the humor in Matt Faulkner’s illustrations. How does he make the women seem “larger than life?” Discuss whether this is a symbol of “independence.” Explain how the text boxes become part of the illustrations. Discuss the meaning of the word “independent.” Ask students to point out the various ways the cover illustration conveys independence. Why are the eyes of the people turned toward the woman carrying the flag? Explain how boycotts worked against the British. What did Betsy Foote and Charity Clarke mean when they said that spinning and knitting made them feel “Nationly.” (p. 9) Is this the same as being patriotic? Discuss the difference between a spy and a scout. Why did pioneer women make such good scouts? Explain why women were especially good spies. How did it take courage to do both? Describe the many changes for women and girls after the American Revolution. Think back to the prereading activity. How many Independent Dames were mentioned in the books used in that activity? Discuss why so many history books haven’t given women the credit they deserve. Read “The Midnight Ride of Paul Revere” by Henry Wadsworth Longfellow at the following website: http://paulreverehouse.org/poem.aspx. Compare Sybil Ludington and Deborah Champion (p. 7) to Paul Revere. Write a short poem about their rides. Mary Katherine Goddard ran a newspaper called The Maryland Journal. Be a reporter and interview Eliza Wilkinson and Rachel Wells. Write their stories for Goddard’s newspaper. Use the news style of reporting: who is the story about; what happened; when did it happen; where did it happen; why did it happen; and how did it happen. Be creative. Explain what Abigail Adams meant when she wrote to her husband, “We possess a Spirit that will not be conquered.” (p. 32) Pick one of the dames in the book and write a tribute to her great spirit that will be delivered at a Fourth of July celebration. When the Continental army ran out of money, the Ladies Association of Philadelphia, led by Esther de Berdt Reed, wrote letters asking for donations. It wasn’t long until ladies from other parts of the country began collecting donations as well. Consider the things the army needed. Then write a letter that Esther de Berdt Reed and the ladies of Philadelphia might have written asking for aid. Since so many men were away at war, many women stepped up to do the work that their husbands left behind. They became blacksmiths, printers, shopkeepers, weavers, gunsmiths, and carpenters. Write job descriptions for these positions. Then write advertisements for the businesses to be published in a local newspaper. Make sure that the illustrations represent the time period. “Molly Pitcher was not a real woman.” She is a legend that represents the women who aided soldiers on the battlefield during the American Revolution. (p. 17) Make a poster for Women’s History Month of Molly Pitcher that symbolizes women’s contribution to the Revolutionary War effort. Include a snappy slogan. Even though women became more independent after the American Revolution, it took a long time before they could own property, vote, or hold political office. Research Susan B. Anthony and Elizabeth Cady Stanton. Make a time line of their plight to get women the right to vote. Which amendment to the Constitution grants women that right? How might the Independent Dames be considered an early part of the women’s movement? "A stirring portrait of the women who made America possible. [Anderson] keeps the text lively and encourages young readers to find out more. At the bottom of each picture Anderson includes a timeline of events and defines some of the terms, making the book even more information rich. At the end of the forty-page book, she adds material on other women and a great bibliography. This short text lends itself to all kinds of activities or acts simply as a supplement for more traditional texts. Anderson’s research is thorough and her understanding of young readers, as always, is profound. 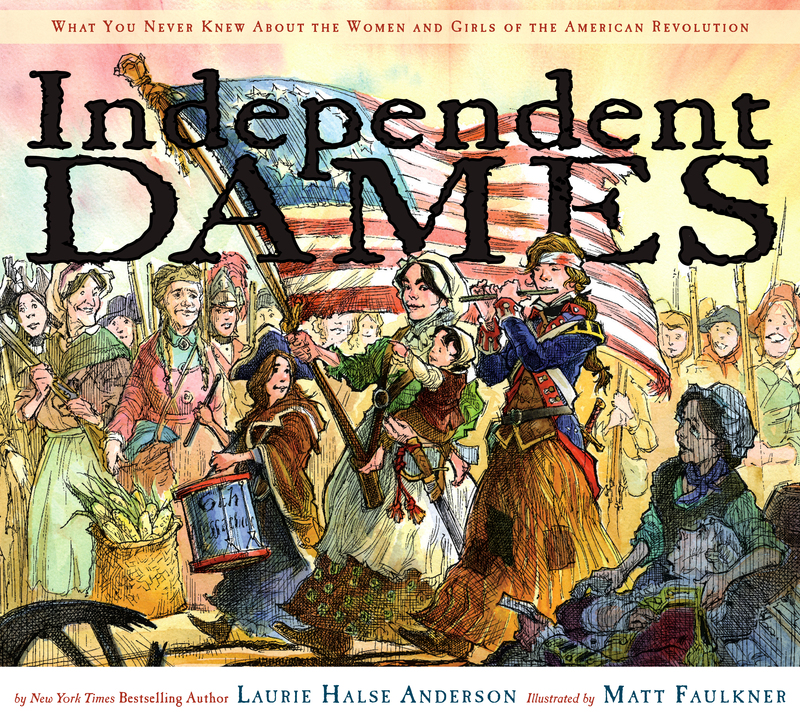 When I conducted an informal poll of school librarians and teachers, Independent Dames emerged as their favorite book for Women’s History Month. 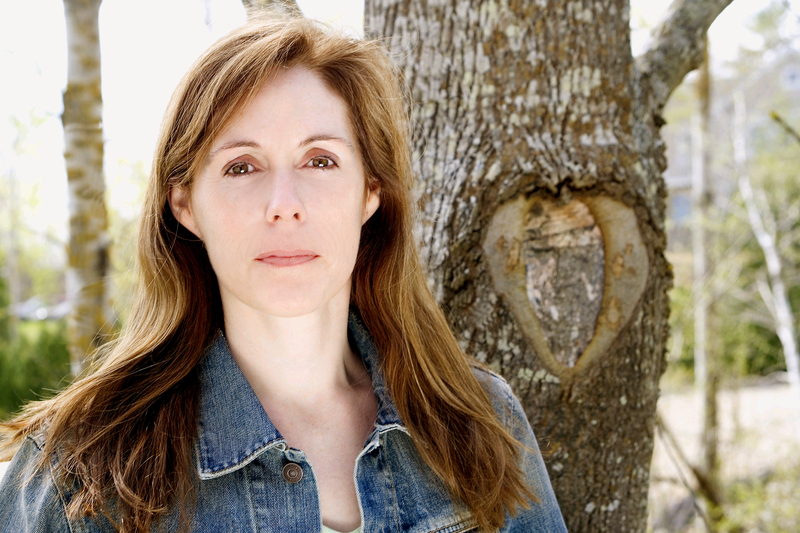 Writing with passion and humor, Laurie Halse Anderson is on a mission to set the record straight. And she does!"